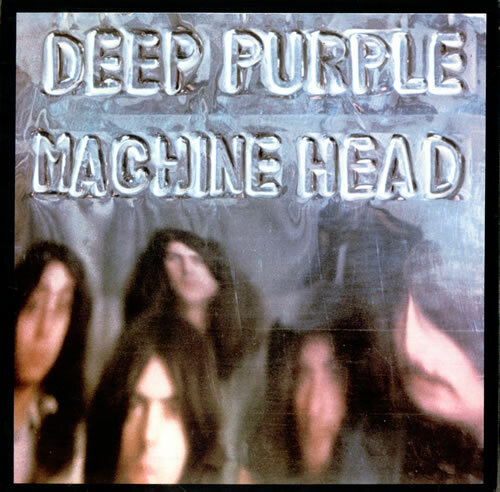 DEEP PURPLE Machine Head (1972 UK 7-track LP with the 'Gramophone Co' label credit and A1U/B1U matrix numbers, Garrod & Lofthouse front laminated gatefold picture sleeve. The sleeve shows some wear to the edges and some laminate creasing, butremains in very acceptable condition. The vinyl too has just a couple of light cosmetic paper scuffs to show for its forty-five plus years. 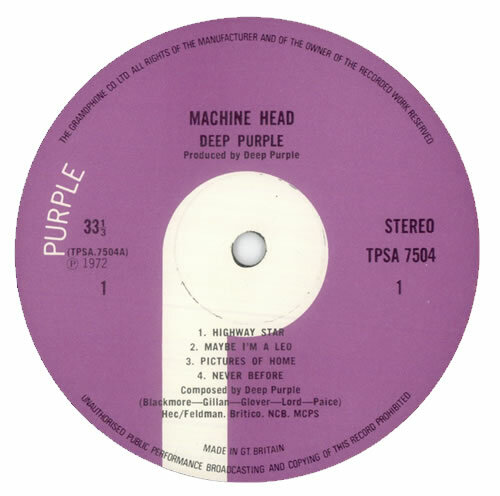 An excellent copy of this classic album at an advantageous price TPSA7504).